Hook blocks (Lower block assembly) and Idler Pulleys (Upper block assembly) can be designed and manufactured as per requirements. It ranges from 1 ton to 50 tons. The hook can be forged in mild steel, C45 & EAN Materials. Test-certificates can issued for all kinds of hooks. 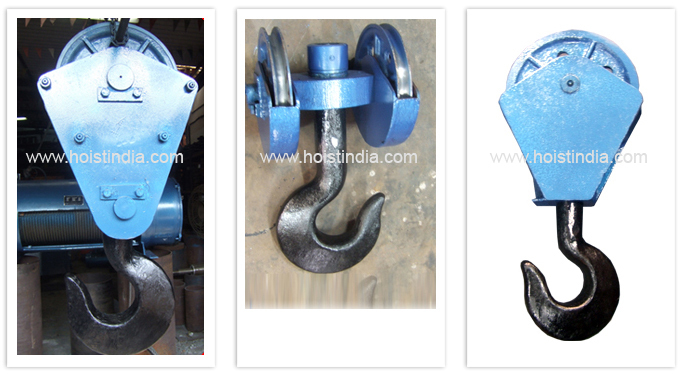 The pulleys can be made from CI casting and also Mild steel.